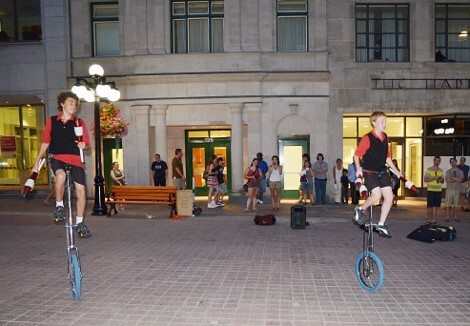 Ottawa hosts a Busker’s festival every summer. A15, B10 and I went downtown to see what was happening. We have been several times before and I am always amused to see how many Australian acts there are. We stopped and watched four acts this year and two were Australian. I told B10 it was because Math and Science in the Australian schools had been replaced by Circus Studies and Street Performing Arts. He wants to move! 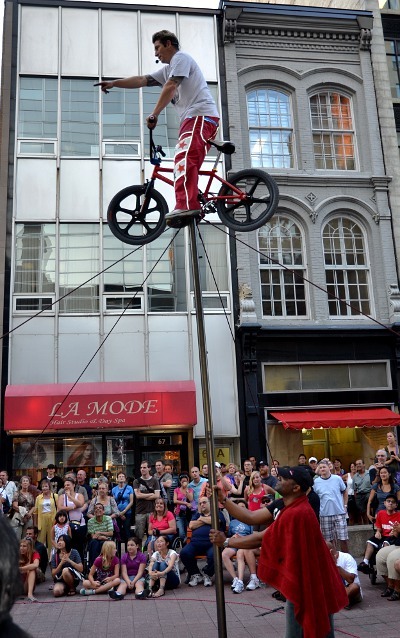 The Juggle Bugs below were great but it was early on the first night and hard to drum up an audience. Flame Oz came out after dark and they were pretty impressive. This entry was posted in Family, Photography on November 4, 2011 by Heather.